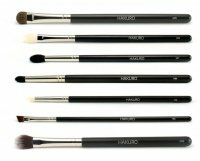 Hakuro - is a Polish brand offering high quality make-up brushes at very affordable prices. 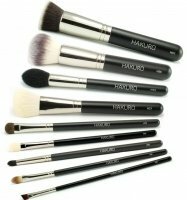 Brushes achieve excellent results even in the least experienced hands. Professionals as well as amateurs appreciate their positive qualities. 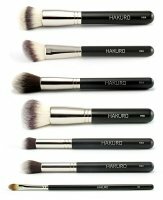 The producer offers a wide range of brushes for foundation, blush, eyeliner or shadow. 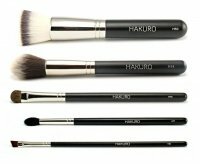 Hakuro also offers a wide range of brushes for powder. Brushes are made of high quality anti-allergic natural hair (goat, pony) and also synthetic bristles, variable in terms of shape, length and density. Their durability makes them reliable product for everyday use. Brushes have elegant, black handles - laying very well in hand. Each make-up made with precise and appropriately profiled tools will attract attention with its aesthetics and ingenuity. 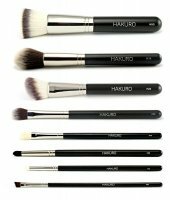 Brushes Hakuro support the entire process of creating make-up, while saving your time and money. Hakuro - Page 1 of 1, 40 products.